When you’re in your 50s, the somewhat distant concept of retirement finally comes into sight. Your priorities slowly shift back to you after decades of putting other people first, which means it’s the perfect time to make a pension plan to get the retirement you deserve. Today, the idea of living to 100 has become more likely. Yet there are financial challenges of living to 100 that Brits need to prepare for, these include having enough to last over three decades and the legacy of wealth. Traditionally, children inherit wealth from their parents. However, more people are giving their inheritance to their grandchildren, who are in their 20s and 30s, rather than their children who are nearing retirement themselves. With 40% planning to follow this approach according to research from UBS, this new inheritance shift may force you to rethink your financial plans. 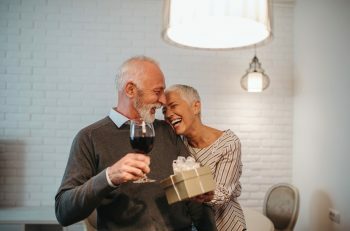 When you’re in your fifties, your priorities should change as your children fly the nest, hopefully as financially independent as possible, you get closer to paying off your mortgage, and some of those common expenses come to an end. Chances are, you probably wish you had saved more of your monthly pay cheques or started saving for your pension earlier. There’s no need to be intimidated though, your fifties is the perfect time to play catch-up. It’s important to regularly review what you’ve got, where you want to be, and assess what you’re going to have to do to make up any shortfall. We have a handy Pension Calculator that can help you with this. Yet with the average Brit working 11 jobs in their careers, it can be difficult to keep on top of all your pensions. If you don’t know exactly what you’ve got, it’s difficult to understand what you need to do to reach your retirement goals. Instead of making life hard for yourself, consolidating your pensions under one roof can be an easy, hassle-free way to manage your pension more effectively. It doesn’t need to be a difficult or stressful process. At Moneyfarm, all you need to do is print off a pension transfer form, fill it in and send it back to us. We do everything else for you and we never charge a fee for people to transfer in or away from Moneyfarm. Make sure you check with your current provider though because there may be transfer charges their side. As your regular expenses start to wind-down, you’ll have more opportunity to ramp-up your pension savings and turbo-charge your income for retirement. This could be a welcome boost to savings for retirement. Saving £322 a month for one year would add over £3,800 to your pension pot. Do this for a decade and you could boost your pot by an extra £38,640. Unfortunately, many Brits prefer spending this extra money on home improvements, a new car, or holidays. It’s certainly important to treat yourself, but don’t forget about the future you. Just 23% of over 50s put this extra money into their pension, although not the whole thing – just 40% of it on average. Adding this extra money to your current contributions plan can really make the difference. Moneyfarm has created three regular investment plans to help you save for a good retirement income. Popular with our investors, these plans are £400 a month, £800 a month and £1,600 a month. By setting aside this much each month you could be on track to a comfortable retirement income in less time than you think! Even if you’ve left it too late, you can still grow your money for a good retirement, it will just take more of your monthly income. It’s reasonable to expect that you can earn an annualised return of at least 5% from a balanced and diversified portfolio over the long term, according to the FCA. Assuming 5% is your return, you can then look to withdraw 5% from your pension each year. Theoretically, you’ll never deplete the nominal value of your pension. That means that for an annual income of £25,000, you’ll need a pension pot worth £500,000. For £39,000 a year you’ll need £750,000. If you’d started invested in a balanced diversified portfolio with 60% exposure to equities and 40% exposure to bonds in 1990 and continued to today, however, your money would have grown by an annualised 7.49%. We’ve assumed this rate of growth for our regular savings plans below, along with a more conservative 5% growth estimate. These numbers also include an annual fee of 1% and include the impact of a 2% rate of inflation on the value of your savings pot. If you’re investing £400 a month, it’ll take you 36 years to build up a pension pot worth £500,000, which will give you an income of £25,000 a year, assuming 7.5% annualised growth. It’ll take you 43 years to build up a £750,000 pension pot, which means you’ll need to start early. It’ll take you 24 years to grow a £500,000 pension pot when investing £800 a month, whereas it’ll take 31 years if you want £750,000. If you can afford to put away £1,600 a month you’ll feel the benefit. It’ll take you just 15 years to build a savings pot worth £500,000 and only 20 years for a £39,000 pension pot. An extra £320 a month would really help here. There are many benefits to saving in a personal pension, with one of the largest being the generous tax benefits. These numbers include the 25% boost you’ll get from the government in the form of the basic tax relief. You can claim tax relief relative to your income tax band. At Moneyfarm you can get the basic rate of tax relief automatically added to your pension contribution, taking an £8,000 pension contribution into a £10,000 one – for example. If you fall into the higher or additional tax band, you can claim the extra tax relief through your annual tax return. Investing takes time, skill and knowledge to successfully do yourself, especially when it comes to managing your investments for your retirement. Many people feel locked out of the traditional wealth management industry due to its high management fees and jargon, but investors can now get investment advice at good value. This means the hardest thing you have to do is choose how much you want to invest and how often, Moneyfarm does the rest for you. As you near retirement and as your priorities change, you’ll need different things from your investments. 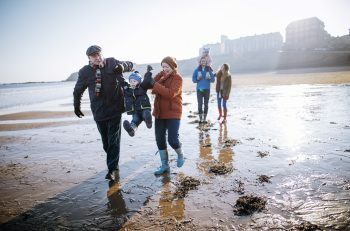 When you match with a Moneyfarm Pension, the investments will automatically adjust as you get nearer to retirement to ensure it continues to reflect you and your needs. Although you’ll have ideally started saving for your retirement early, it’s never too late to start implementing a pension plan for your retirement income. When you’re in your 50s, you’ve still got around 15 years to prepare for your future, which can make a real difference. You can now keep your pension invested during retirement thanks to changes to pension freedoms. This means you can expect your money to continue growing whilst you’re enjoying your retirement. Your Mortgage, Mortgage paid off, what next?